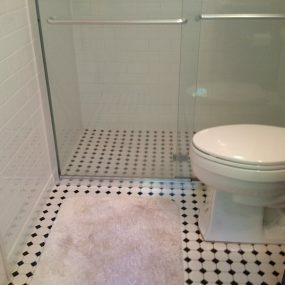 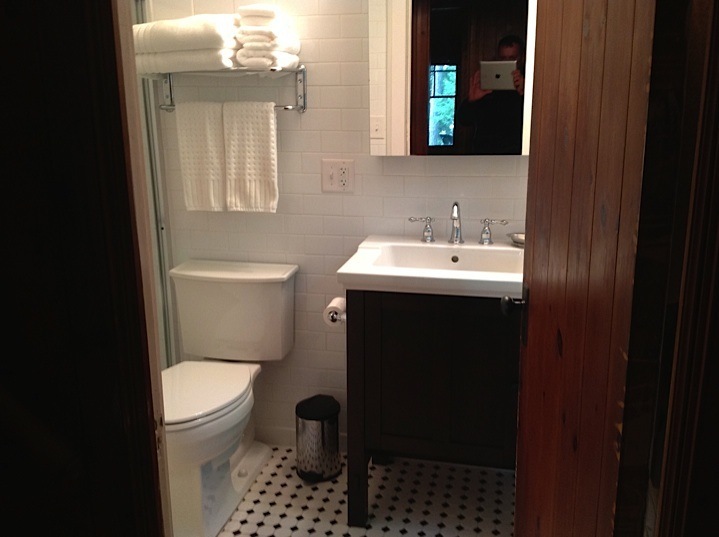 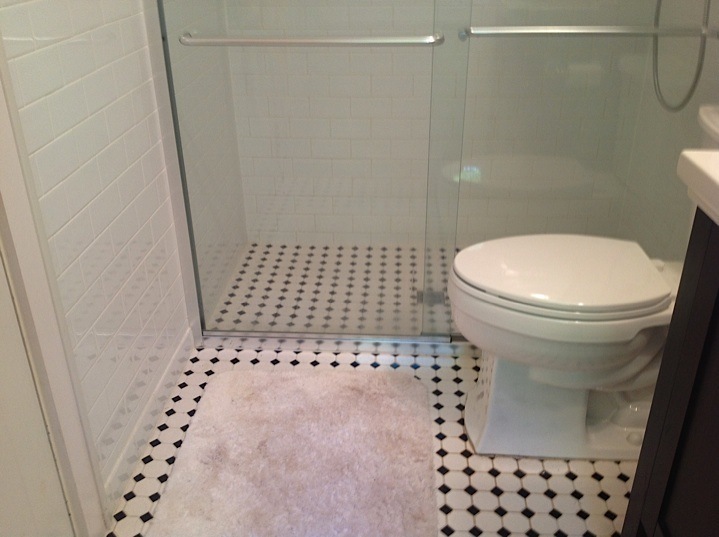 A couple wanted to re-do their bathroom to change it from dark and dull to bright, crisp and clean. 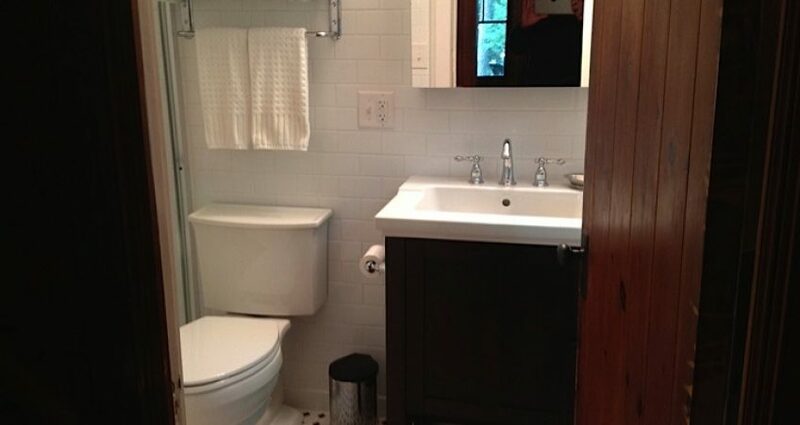 The bathroom did not have any natural light in it, so they wanted to use light materials to help create the illusion of light. 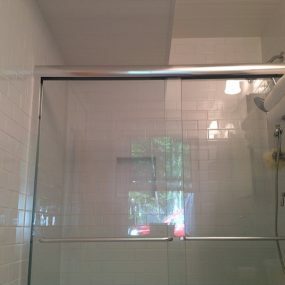 Being that this bathroom remodel was out of town from where Knutson Custom Construction’s office was, Andrew and the home owner communicated daily via phone, email and fax to hammer out all the details needed to complete the project. 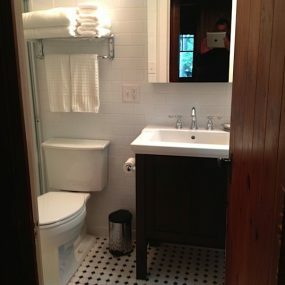 Though the bathroom is small, the white subway tiles, the small square black and white tile floor along with the clean white fixtures really brightens things up and makes it seem larger. 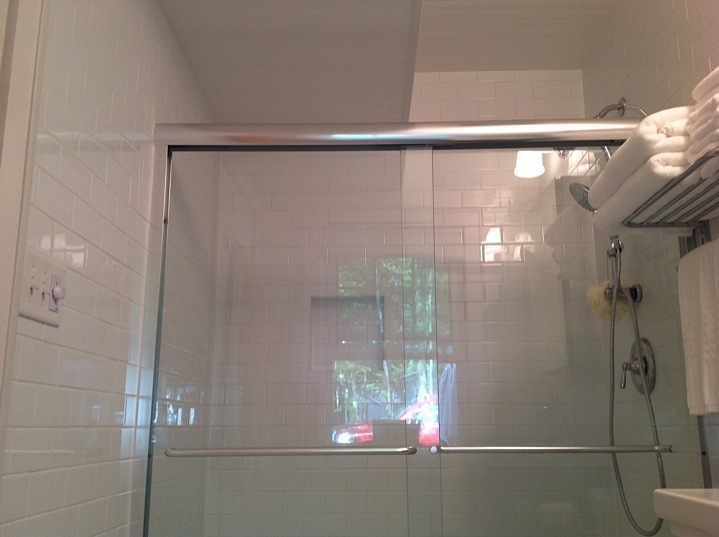 Another successful project with a happy satisfied customer..